Spring at Hunsdon House begins with the planting of seeds in our raised beds, which the children will tend throughout the summer until harvest. This year they enjoyed helping our gardener dig over and redesign one of the flower beds as well. 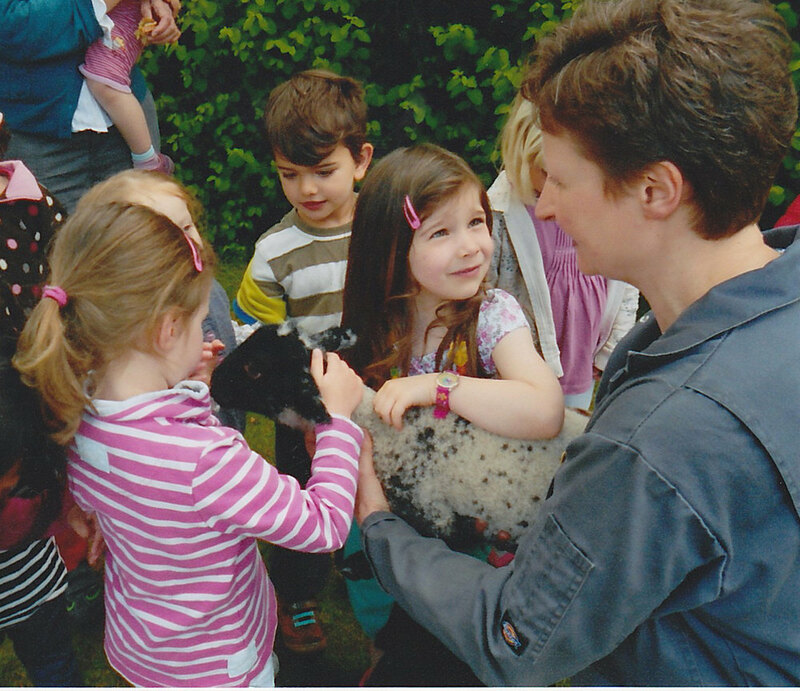 We all enjoy a visit and a cuddle with some baby lambs brought to us by a farmer friend, and watering our new vegetables is a favourite activity. When it starts to get windy the children love to make little kites. We also venture out regularly with all our families for a nature walk with a picnic in the woods around Oxford, to see the peacocks, bluebells and azaleas. 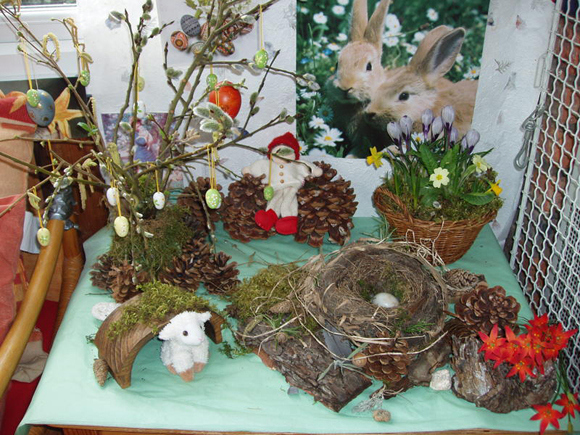 Our Nature Table changes as we celebrate seasonal festivals such as Easter and Pentecost. We create craft activities inspired by the experiences we have with nature.